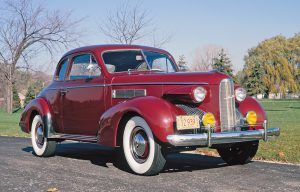 The August 2019 issue presents the tales of the 1939-40 LaSalle, the Chrysler Corporation cars of 1960, plus two other topics sure to be of interest. Colorful Photo Features focus on a 1960 Lincoln Continental convertible and a 1959 AC Ace Bristol roadster, while a 1936 Mack Jr. pickup is the choice for the Collectible Commercial Vehicles department. In addition, former Briggs and Chrysler designer Bill Robinson will be profiled. We’re proud of the many awards that Collectible Automobile® has won for writing, graphics, and general excellence. “Best Story” trophy and gold medallion, marque-specific category (for “A High Price for Perfection: The Saga of the Gaylord” in April 2017 issue). Gold medallion, personality profile category (for “William Porter: Moving the Mainstream” in August and October 2017 issues). Silver medallion; magazine writing, single-marque or manufacturer history (for “1964-67 Pontiac 2+2: Special Added Attraction” in June 2016 issue). Silver medallion; magazine single-issue, 20,000-100,000 circulation (for June 2016 issue). Gold medallion; magazine writing, collector car (for “Record Collector: The Story of a Special 1958 Chrysler 300-D” in June 2015 issue). Bronze medallion; magazine writing, biography (for “George W. Romney: ‘Bet Every Last Dollar in Yourself’” in April 2015 issue). Bronze medallion; magazine single-issue, 20,000-100,000 circulation (for June 2015 issue). Silver medallion; magazine writing, single-marque or manufacturer history (for “Classically Trained: The Nashes of 1930-34” in February 2014 issue). Bronze medallion; magazine single-issue, 20,000-100,000 circulation (for February 2014 issue). Bronze medallion; magazine graphics, illustration from collected art (to Harry Kapsalis for “Anniversary Waltz: General Motors’s 1958 Golden Jubilee” in October 2013 issue). Bronze medallion; magazine single-issue, 20,000-100,000 circulation (for August 2013 issue). Gold medallion; magazine writing, single-marque or manufacturer history (for “Black Ops: The Story of the 1982-87 Buick Grand National and GNX” in August 2012 issue). Silver medallion; magazine single-issue, 20,000-100,000 circulation (for October 2012 issue). Gold medallion; magazine writing, single-marque or manufacturer history (for “1980-85 General Motors X-Cars: From Exhilarating to Exasperating” in August 2011 issue). Bronze medallion; magazine single-issue, 20,000-100,000 circulation (for June 2011 issue). Gold medallion; magazine writing, single-marque or manufacturer history (for “1951 Buick XP-300: Mr. Chayne Builds His Dream Car” in April 2010 issue). Silver medallion; magazine single-issue, 20,000-100,000 circulation (for February 2010 issue). Silver medallion; magazine writing, motorsports history (for “Last Legs: A Story of the Final Carrera Panamericana” in June 2009 issue). Gold medallion; magazine single-issue, 20,000-100,000 circulation (for June 2009 issue). “Best of Single Issues” trophy (judged against other single-issue category winners). Silver medallion; magazine writing, general history (for “That Shrinking Feeling: How and Why GM Downsized for 1977” in April 2008 issue). Silver medallion; magazine single-issue, 20,000-100,000 circulation (for February 2008 issue). Gold medallion; magazine single-issue, 20,000-100,000 circulation (for April 2007 issue). Gold medallion; magazine single-issue, 20,000-100,000 circulation (for August 2005 issue). Silver medallion; magazine single-issue, 20,000-100,000 circulation (for April 2005 issue). Bronze medallion; magazine single-issue, over 100,000 circulation—reclassified at judges’ discretion (for August 2003 issue). Bronze medallion; magazine single-issue, under 50,000 circulation (for October 2001 issue). Richard and Grace Brigham Award (for outstanding treatment of historical topics in an automotive periodical from all issues of 2017). Carl Benz Award (for outstanding periodical article of 2016 “The Cars of 1969: A Rising Middle Class” in December 2016 issue). Carl Benz Award (for outstanding periodical article of 2015 “1967-70 Cadillac Eldorado: Applying a Personal Touch” in June 2015 issue). Carl Benz Award of Distinction (for “honorable-mention” periodical article of 2015 “Record Collector: The Story of a Special 1958 Chrysler 300-D” in June 2015 issue). Carl Benz Award (for outstanding periodical article of 2014 “Lightning in a Bottle Again: The Return of the Electric Car in America” in October 2014 issue). Carl Benz Award (for outstanding periodical article of 2013 “A Star Is Reborn: Restoring the 1955 LaSalle II Roadster” in June 2013 issue). Carl Benz Award (for outstanding periodical article of 2010 “1951 Buick XP-300: Mr. Chayne Builds His Dream Car” in April 2010 issue). Carl Benz Award of Distinction (for “honorable-mention” periodical article of 2009 “Last Legs: A Story of the Final Carrera Panamericana” in June 2009 issue). Richard and Grace Brigham Award (for outstanding treatment of historical topics in an automotive periodical from all issues of 2008). Carl Benz Award (for outstanding periodical article of 2007 “The End of the Future: Chrysler Corporation Cars of 1957” in June 2007 issue). Carl Benz Award (for outstanding periodical article of 2006 “Breaking the Mold: NASCAR at Road America, 1956” in June 2006 issue). Carl Benz Award of Distinction (for “honorable-mention” periodical article of 2006 “Standing the Test of Time: The Continuing Story of the Packard Proving Grounds” in April 2006 issue). Carl Benz Award of Distinction (for “honorable-mention” periodical article of 2005 “Brooks Stevens: The Seer that Made Milwaukee Famous” in June 2005 issue). Carl Benz Award of Distinction (for “honorable-mention” periodical article of 2004 “Bound by Tradition: The Coachcraft Story” in October 2004 issue). Carl Benz Award of Distinction (for “honorable-mention” periodical article of 2004 “1960-62 Plymouth Valiant: Chrysler’s Unique Slant on the Compact” in August 2004 issue). Carl Benz Award (for co-outstanding periodical article of 2003 “Mysterious Ways: The Long, Strange Trip of the 1954 Oldsmobile F-88” in October 2003 issue). 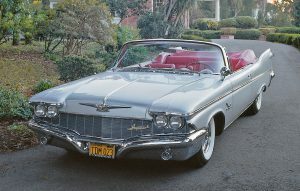 Carl Benz Award (for co-outstanding periodical article of 2003 “1951 General Motors LeSabre: Harley Earl’s Think Tank” in February 2003 issue). Carl Benz Award of Distinction (for “honorable-mention” periodical article of 2002 “Tom McCahill: Say ‘Uncle’” in December 2002 issue). Richard and Grace Brigham Award (for best treatment of historical topics in an automotive periodical from all issues of 2000). Carl Benz Award (for outstanding periodical article of 2000 “Unrealized Dreams: GM’s 1955 LaSalle II Motorama Cars” in February 2000 issue). Carl Benz Award (for outstanding periodical article of 1999 “American Originals: The Sports Cars of Frank Kurtis” in October 1999 issue). Richard and Grace Brigham Award (for best overall treatment of automotive history in a magazine from all issues of 1992). © 2018 Copyright Publications International, Ltd.